Where Was Captain Marvel During Avengers: Infinity War? We've got some pretty good ideas. Since the end of Avengers: Infinity War, we along with the rest of the internet have been speculating on what the reveal of Captain Marvel means for the Marvel Cinematic Universe (MCU). Here’s what we know so far. 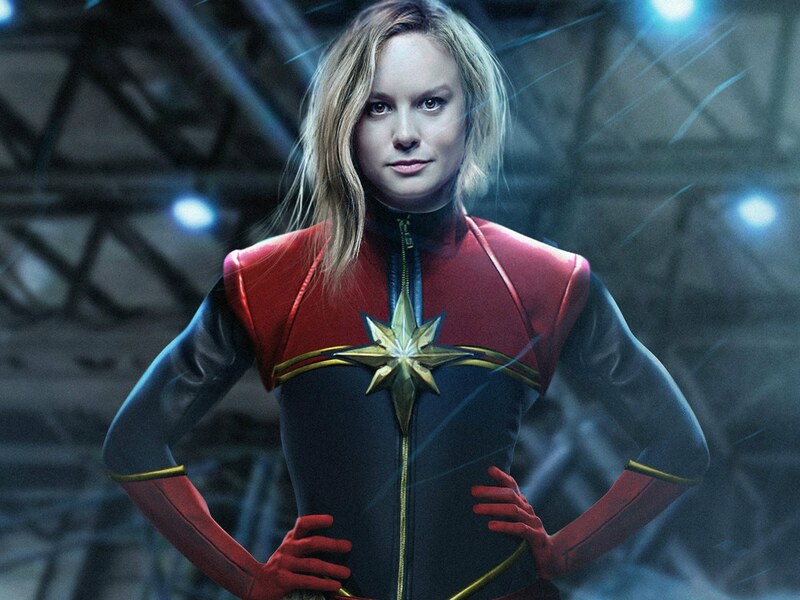 We know that Captain Marvel will be played by Brie Larson who starred in the critically acclaimed film Room and is set to be in Avengers: Endgame. We know that we’ll be getting a Captain Marvel film come March this year. One lingering question we do have is: WHERE THE HELL WAS SHE WHEN THANOS WAS WIPING OUT HALF THE UNIVERSE?! We’ve all seen a ton of articles online about Captain Marvel could defeat Thanos in Endgame but I’m curious to know why the powerhouse was nowhere to be seen throughout the film. We certainly have interesting theories in mind based on the character’s history and the trailers released for the heroine’s film. Believe me when I say some of them are out of this world! 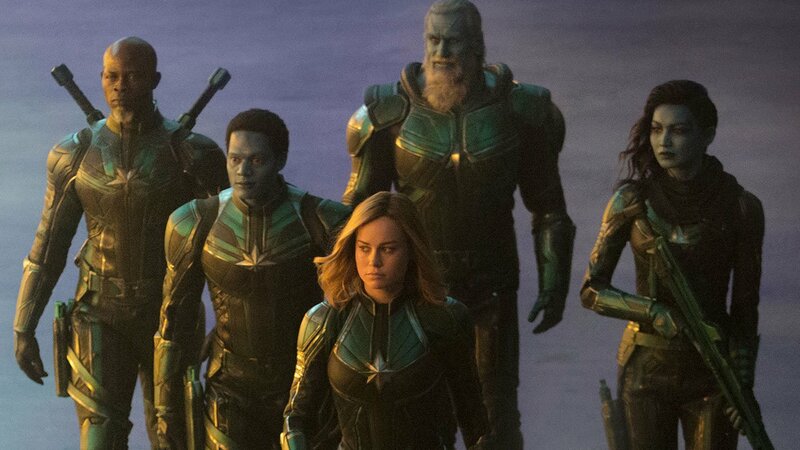 It’s been confirmed so far that in Captain Marvel, the group Starforce is set to make an appearance. Starforce is an elite team of warriors that serve the bidding of the Kree Empire, ran by the Supreme Intelligence, a mind that is the amalgamation of the Kree’s greatest thinkers and leaders. 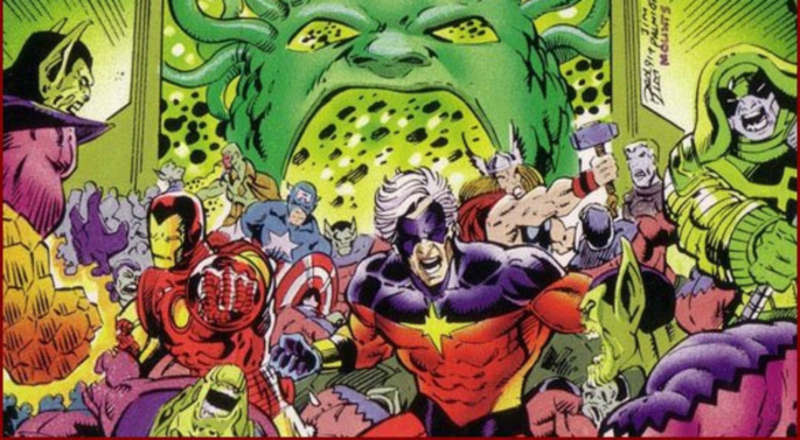 We know at some point in Captain Marvel that Carol Danvers joins up with Starforce with her mentor Mar-Vell (catchy name), who was the original Captain Marvel. Mar-Vell trained Danvers to control her energy manipulating abilities and was a source of guidance to the young pilot. Brie Larson’s character does eventually take up the mantle of Captain Marvel, most likely after Mar-Vell dies. In the comics, he passed away due to cancer and Carol Danvers who went by Ms Marvel adopts the moniker of captain. This time around, I suspect he’s gonna die from something a lot more exciting than just cancer. Mar-Vell was one of the key members and leaders of Starforce so it’s possible that after Mar-Vell bites the dust, Danvers not only becomes the second Captain Marvel but also takes charge of the Kree special forces team and is out there somewhere, serving the Kree Empire and running the team after the Kree-Skrull War going on in Captain Marvel. Here’s the thing though, in the comics her mentor never fully adopted the prejudices and philosophies of the Kree or the Supreme Intelligence. 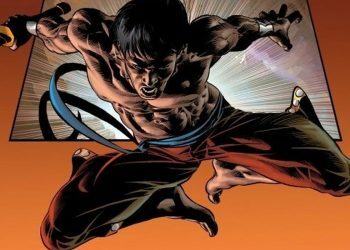 In fact, he often rebelled against them. 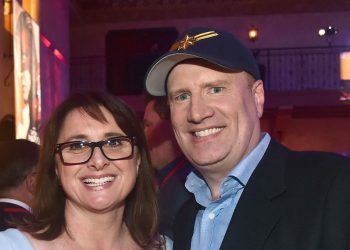 Furthermore, two of the members of the original Starforce team seem to have gone rogue sometime between the events of Captain Marvel and Guardians of the Galaxy. The two being Ronan the Accuser (played by Lee Pace) and his ally Korath the Pursuer (played by Djimon Hounsou) that we see in Guardians of the Galaxy. So perhaps Captain Marvel started a new version of Starforce and is somewhere out there crusading across the stars? Or maybe she followed her mentor’s footsteps in a different manner by quitting the team and decides to fight the oppression of the Kree Empire across the galaxy. In either case, it would put Danvers significantly far from the conflict going on Earth, Titan, Knowhere or the planet of Vormir. Seeing she’s busy either aiding or opposing the Kree Empire. 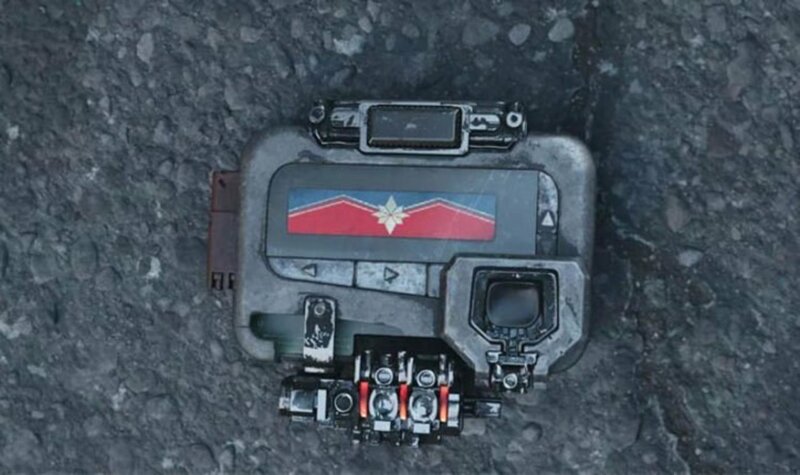 Therefore Fury had to send out a distress beacon to summon her back to Earth, to team up with the remaining Avengers to fight Thanos. Then again, the Kree might not be the only alien empire Danvers is contending with. 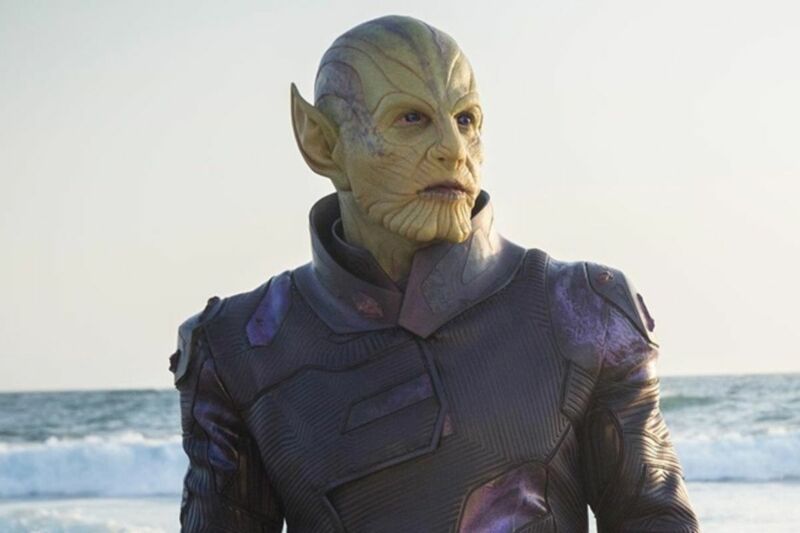 In a trailer for Captain Marvel, we got our first good look one of the villains Danvers would encounter throughout the film, the Skrulls. They’re basically a shapeshifting alien race that infiltrates planets by disguising themselves as native members of the species. 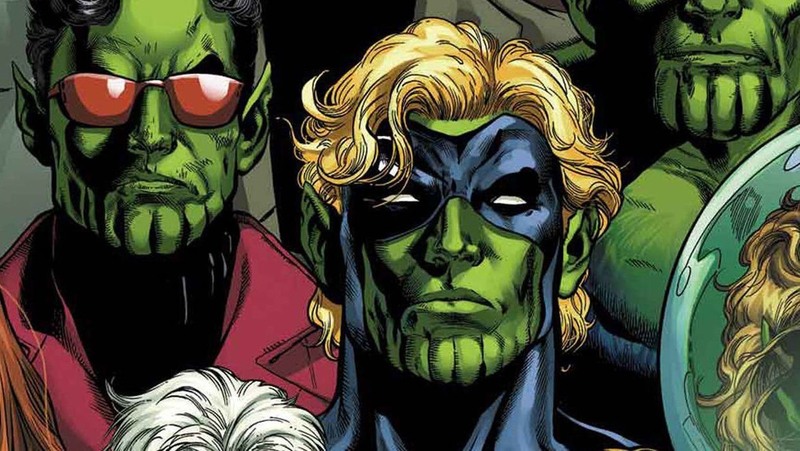 We saw this take place in 2008 “Secret Invasion” run by comic book writer Brian Michael Bendis when the Skrulls invaded Earth. It’s possible that while Thanos was taking collecting the Infinity Stones and waging war on Wakanda, Captain Marvel was busy hunting down the final remnants of the Skrull. I mean, we didn’t see her get too involved with Ronan’s attack on Xandar in spite of the fact that she’d be considered a key figure during the Kree-Skrull War. She could have been off-world, on the offence against the Skrulls, battling the empire in a distant far away galaxy. There’s another theory that she could have been busy hunting the Skrulls hiding on Earth. I mean, think about it, she’s so preoccupied fighting a secret war going on her planet or an open one on the Skrull homeworld, she may simply not have noticed Thanos. We never saw her present in any of the major events involving the Mad Titan before Infinity War, so I believe it’s possible that she never heard of the guy. Heck, the Avengers didn’t even know about this universe ending threat till Infinity War. Whatever the reason, it was certainly huge enough to capture her attention away from the events going on in the film. Still, there’s one more theory on why she never showed up. Occam’s razor, it is said that the simplest answer is often the correct one. In this case, she could have just well…retired. I mean Carol was called into service a long time before even the first Iron Man film took place. Back when Nick Fury still had two of his eyes. It’s not improbable that after spending her days as a military pilot, a warrior in the Kree-Skrull War and a cosmic superhero she would choose to hang up the suit. After all, war does take a toll on people. Therefore she may have isolated herself from the wars going on Earth and beyond. I mean, Fury had to contact her using what looked like a pager. Who still even uses pagers? It’s not crazy to theorize that Danvers would want to take a break from fighting the good fight and just let the Avengers handle it. One thing is certain though, she won’t be in retirement in Endgame. We’ll get to see face down Thanos. So those are our theories on why Carol Danvers wasn’t in Avengers: Infinity War. I’m leaning more on the retirement side of things but what do you guys think? Was she out there saving a distant part of the universe? Was she trying to fight where Tony gets shawarma? Be sure to let us know in the comments and stay tuned to us for all your Captain Marvel and Avengers-related news!